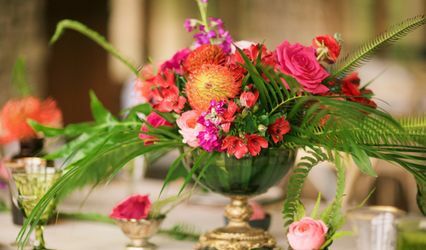 Kapalua Florist is one of Maui's premier floral design shops located on the west side. 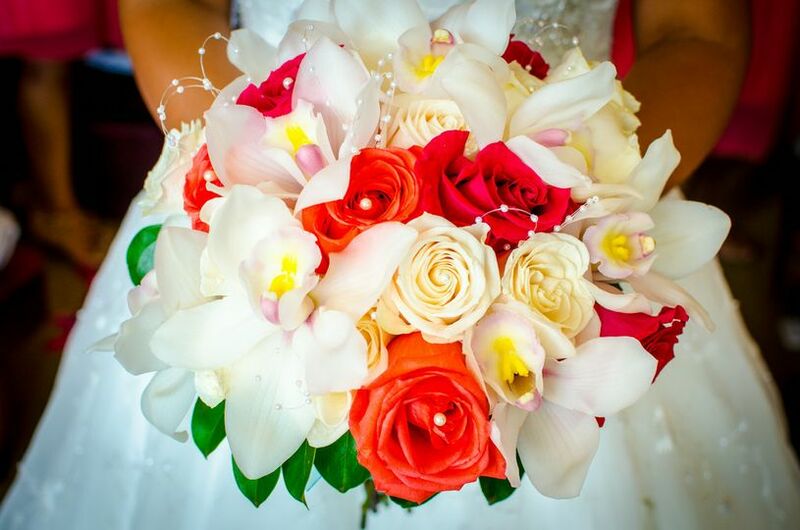 A family business that is located in the Kapalua Area that strives to bring you the freshest and most beautiful flowers for any occasion or event. The beautiful and exotic tropical flowers are from Maui and the Big Island of Hawaii. Our gorgeous roses and spring/garden flowers are shipped in from Ecuador and as far away as Holland. Our tropical arrangements are a mixture of beautiful flowers: such as Heliconias, ginger, tropics, protea, orchids and anthuriums. Even tropical flowers are seasonal and each variety is not available all year round. 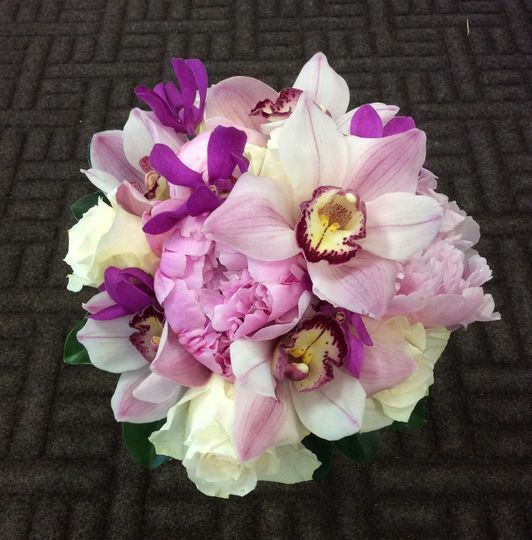 In addition to our arrangements, we offer floral leis and gift baskets, so please browse our photos and give us a call. We are open from 9 am to 5 pm Monday - Friday. Open 9 am to 12 noon on Saturday and closed on Sunday. We are located at 700 Office Rd Suite A-103 next to Kapalua Realty, The Wine Palette and Sansei Seafood Restaurant. Stop in and view the beautiful flowers of Hawaii! 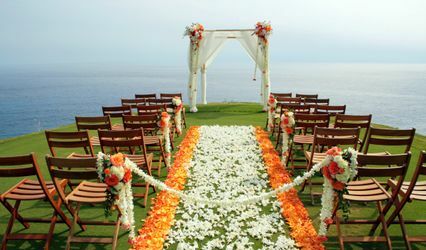 I was so happy with my choice to use Napili florist for my wedding in Hawaii! I was originally going to do my own flowers, but one week before the wedding decided I wanted to have someone else do them to save me time and stress. I worked with Malia. She worked quickly to call and email me back and forth to make my dream flowers possible! The flowers turned out amazing and perfect! I could not have asked for better service and quality! The flowers were so bright and full, and the arrangements were exactly as I had imaged them! Not joking, my mother and I walked into Napili Florist on the morning of my brother's wedding with a box full of loose orchids and a few calla lilies and asked for help. Ten minutes later and Malia's grouping together orchid buds with floral tape and wire and getting to work on a bouquet. 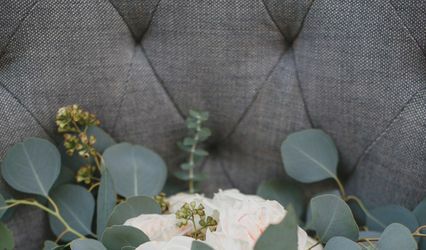 The bride waited until the day before the wedding to decide what she wanted and ended up with a fridge full of flowers that we weren't going to be able to make work on our own. Napili Florist saved us - the bouquet turned out beautifully and most importantly the bride was delighted with the finished product. I'll definitely be recommending Napili Florist to anyone having a wedding on Maui and might even stop in for an arrangement on my next vacation! I thought I was going to just "DIY" my flowers a day or two before my wedding on Maui, but after arriving, thought we'd check out a local florist for our needs. We had such a small wedding, we didn't need a ton of floral arrangements (centerpieces, etc.) but I did want a nice bouquet. The ladies of Napili Florist were SO helpful! We ended up doing a few bouquets and lei's all at the last minute and wasn't a problem for them! 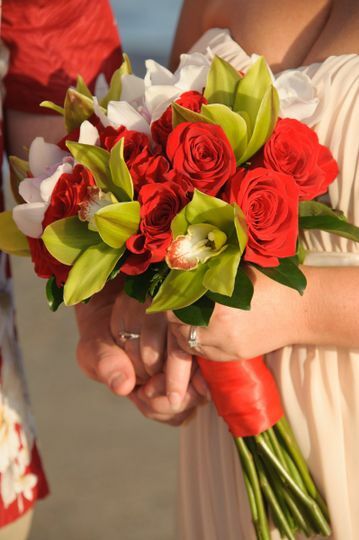 Their prices were extremely reasonable and the flowers and leis turned out beautiful!